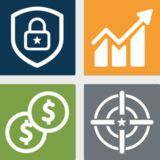 Lead the Departmentâ&#x20AC;&#x2122;s financial readiness efforts to support a mission-ready Force through policy, programs and advocacy. Mr. Fred Drummond Deputy Assistant Secretary of Defense (Force Education and Training) | Office of the Assistant Secretary of Defense (Readiness) Mr. Fred Drummond serves as the Deputy Assistant Secretary of Defense for Force Education and Training in the Office of the Assistant Secretary of Defense for Readiness. He oversees the development of policies and plans for military training and education and is responsible for: Service and joint training policy, cyber training policy, joint professional military education, training capability modernization, and enabling access to the land, air, and sea live training domains. Mr. Drummond leads voluntary education programs including Troops to Teachers and the Tuition Assistance program. He is responsible for policy and oversight of financial readiness and to educate the Force on the new Blended Retirement System. He also leads the Defense Language and National Security Education Office in their efforts to recruit, train, sustain, and enhance language and culture capabilities to ensure national security and readiness. Mr. Drummond oversees the Advanced Distributed Learning Initiative to encourage collaboration among federal agencies, facilitate interoperability, and promote best practices for using distributed learning to provide the highest-quality, cost effective education and training programs. He also oversees the Department of Defense’s licensing and credentialing policies to assist Service members in effectively translating their military skills and experience into the civilian workforce. Prior to joining the Office of the Secretary of Defense, Mr. Drummond was responsible for the Navy’s strategy, policy, resource allocation and execution oversight for all officer, graduate and voluntary education programs. A career Naval Officer, Mr. Drummond served as a Naval Flight Officer deploying across the globe conducting combat and peacetime operations, including assignments in education, training and manpower. Mr. Drummond’s military awards include the Defense Superior Service Medal, the Legion of Merit, the Distinguished Flying Cross, and the Air Medal (one individual and seven Strike/Flight). He is a graduate of Virginia Tech and received a master’s of political science from Auburn University of Montgomery. Mr. Andrew (Andy) Cohen Director, Office of Financial Readiness | Office of the Deputy Assistant Secretary of Defense (Force Education and Training) Mr. Andrew (Andy) Cohen is the Director, Office of Financial Readiness in the Office of the Deputy Assistant Secretary of Defense for Force Education and Training. As Director, he leads the Financial Readiness team in the planning, direction, control and coordination of policies and programs to meet the financial literacy and preparedness needs of Service members and their families. Mr. Cohen began his career in the Federal Civil Service in July 2017 as a senior program analyst. Prior to accepting an appointment to the Federal Civil Service, he served nine years as Deputy Director for Finance and Treasurer, Army Emergency Relief (AER). AER is a private 501(c)(3) charity providing, on average, $75 million a year in no-interest loans and grants to soldiers and their families to meet unexpected financial needs. Prior to joining AER, he served 27 years as a Commissioned Officer in the U.S. Army, retiring with the rank of Colonel. Mr. Timothy (Tim) Moore Multigenerational relations expert, author and speaker Mr. Timothy Moore is a multigenerational relations expert and an accomplished author and speaker with more than three decades of experience in marketing, sales, and training. He is owner and principal of the sales consultancy Dancing Elephants and editor of the online daily magazine Carolina Business Connection in North Carolina’s Research Triangle region. Mr. Moore’s experience in sales and training spans numerous Fortune 500 companies, including PepsiCo, Gillette, Dow Chemical, and L’Oreal USA. He is coauthor of “Six Secrets of Sales Magnets,” has written articles about sales and training and teaches classes and seminars in sales at universities and community colleges. At Generational Insights, Mr. Moore is part of a team that has become the leading voice on the impact of generational differences on sales, marketing, management and hiring and retention. He combines the research of Generational Insights with his own professional experience, in addition to observations of client practices, to provide generational strategies and solutions for this rapidly changing world. Mr. Moore holds a Bachelor of Arts degree from Elon University in North Carolina, where he served as student body president. He is a board member of the Elon Alumni Association. The school recently honored him as an alumnus who has achieved scholarly distinction in his field and inducted him into the national Honor Society of Phi Kappa Phi. Mr. Moore grew up in Charlottesville, Virginia, and now lives in Cary, North Carolina, with his wife of 33 years, Linda, and their two adult children. He spends his free time traveling the world, obsessively playing his harmonica or learning to play his mandolin and fiddle. He is one of about 75 million baby boomers who are still busy changing the world.